Frozen cattle and pig bile. Established hypersensitivity to the drug, violation of the integrity of the skin in the places of the intended application of the drug, skin disease. 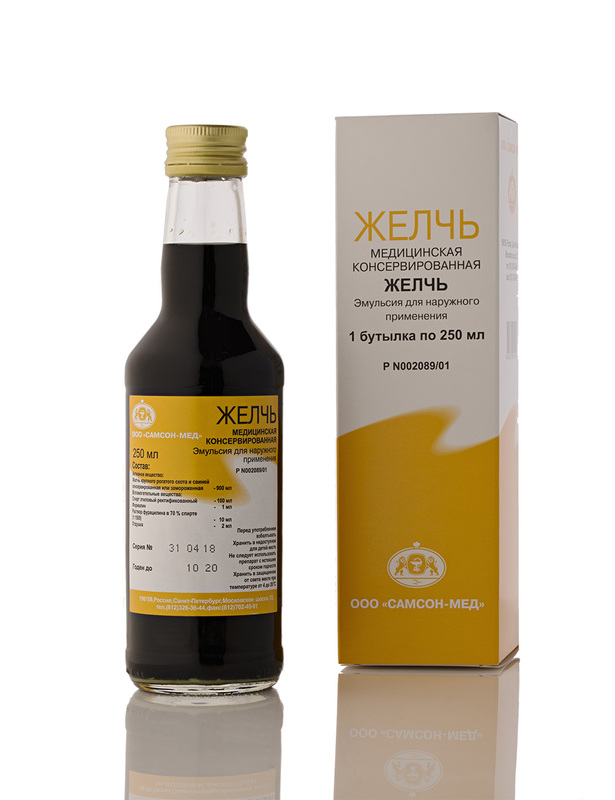 Do not use the medicine without consulting a doctor during pregnancy, breastfeeding and childhood. Avoid contact with open wounds, eyes and other mucous membranes. EXTERNAL USE ONLY! The medicine is used in the form of compresses for 6-10 days.